Hello, it's the moderator Pearly Productions here. While this blog is normally reserved strictly for Kevin's reviews, we couldn't help but post this picture from the RAA website to give everyone a chuckle. It was originally spotted as a bill poster advert in Adelaide. I have confirmed that it is NOT Kevin... and he is wondering why he wasn't paid for this gig... 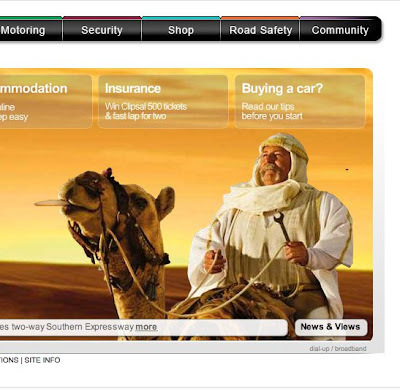 It's even more amusing because "Lawrence of Arabia" happens to be Kevin's favourite film character of all time! Big Kev takes No prisoners!! By the way who is the statue of that Kevin is posing next to in the ID pic?? The statue/bust is of Balzac in the garden of one of his home’s in Passy, Paris. I am working on Alana Valentine’s play LOST ILLUSIONS by him, and was doing some research!!! !